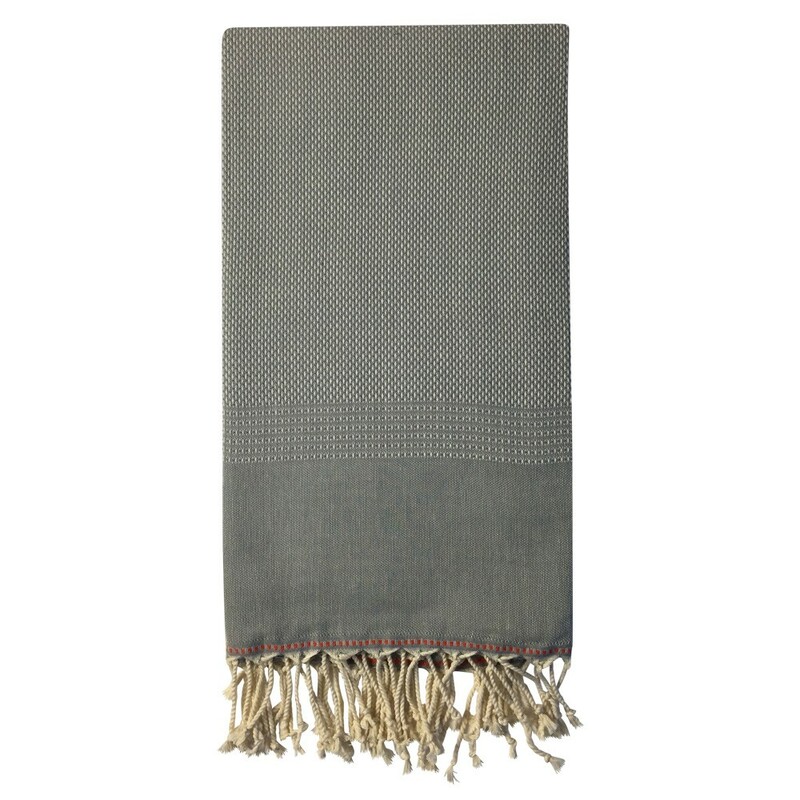 Ekin towels from Luks Linen, with a soft, tactile weave. These were traditionally used in the Turkish hammam. They're also great used as a sarong, picnic blanket, tablecloth or throw. The peshtemals come in a range of styles, colours and weaves. Ekin Turkish hammam towels are a firm favourite for outdoor living, with vibrant choices of petrol, teal, grey and mandarin. Pack your favourite colours and meet friends for a beach trip or picnic any time of year. 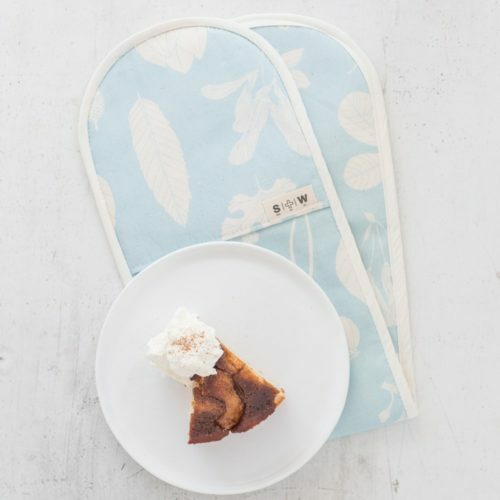 These towels also work beautifully as wraps and as tablecloths both indoors and outdoors. Used as home accessories, the warm colours can bring a wonderfully cosy autumn feeling, with the Mandarin to brighten up your day. The detail in the design is perfect, with a tactile chain weave design and lovely mustard trim. 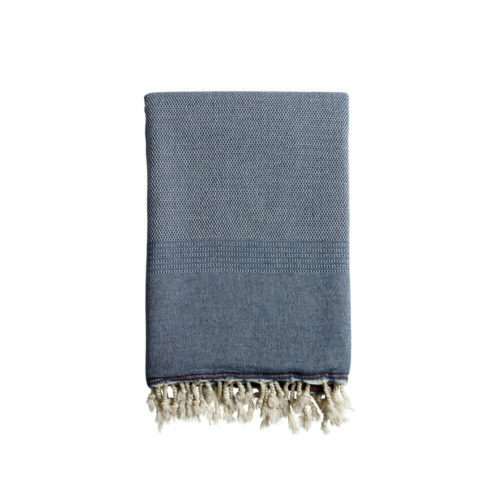 These Turkish hammam towels are hand-woven and finished by family ateliers in Turkey, made ethically from 100% natural cotton. 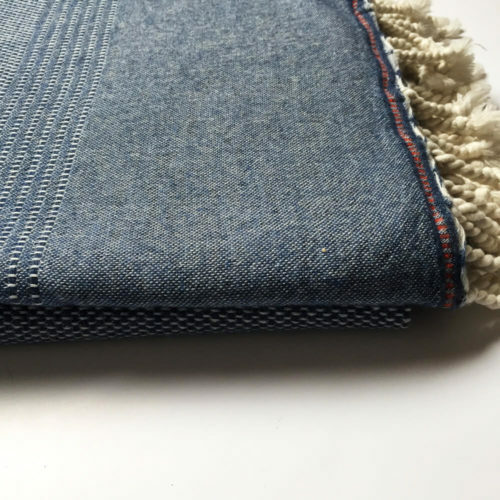 These Turkish hammam towels are ethically made in 100% natural Turkish cotton. Quick drying, lightweight and compact. 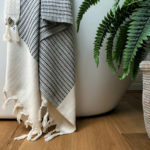 You can see all the Turkish hammam towels and peshtemals, plus other home linens and accessories from Lüks Linen on Chalk & Moss here.